Hair styling has become so much popular and advanced that every now and then we can see a new trend coming up. Whether it’s a new haircut or a new hair color or an accessory, fashionista keep a check on everything. 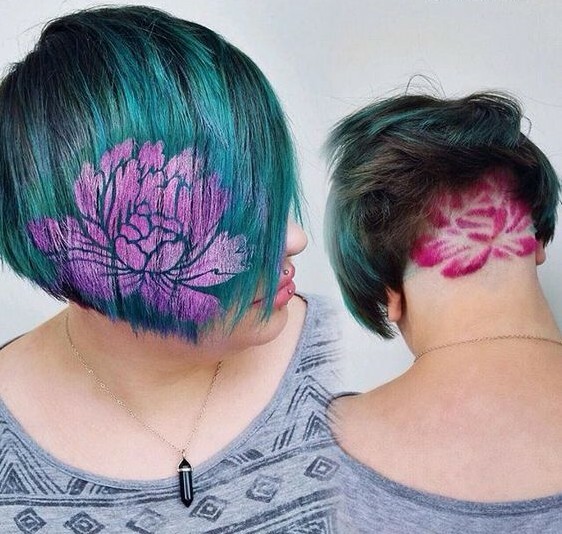 One such trend is Hair Stenciling. 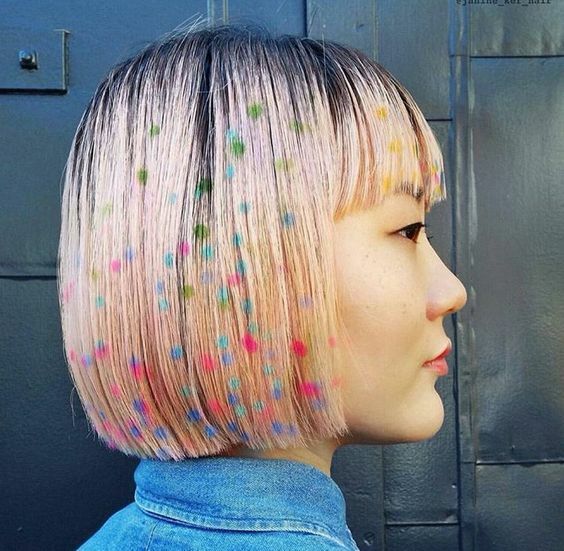 An easy way to paint designs on hair through stencils is becoming popular among youngsters. 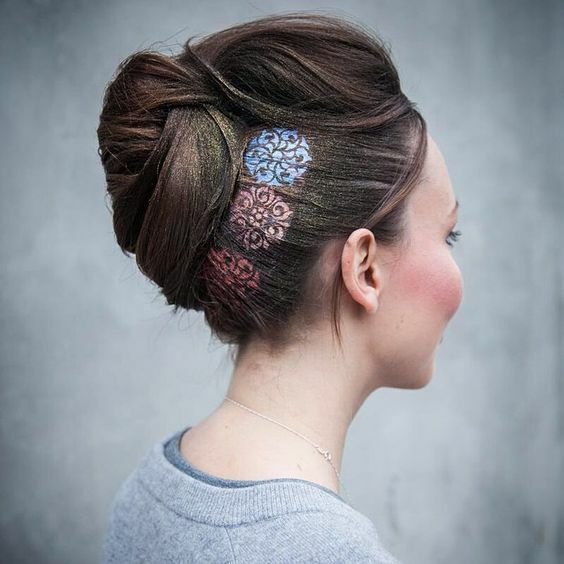 A young, quirky hair art is an easy and contemporary way to incorporate favorite art patterns on hair. Needless to say they are very fashionable and trendy, just get the look right for yourself. – A nice hair bun can be further highlighted with a stencil pattern in different glitter shades. 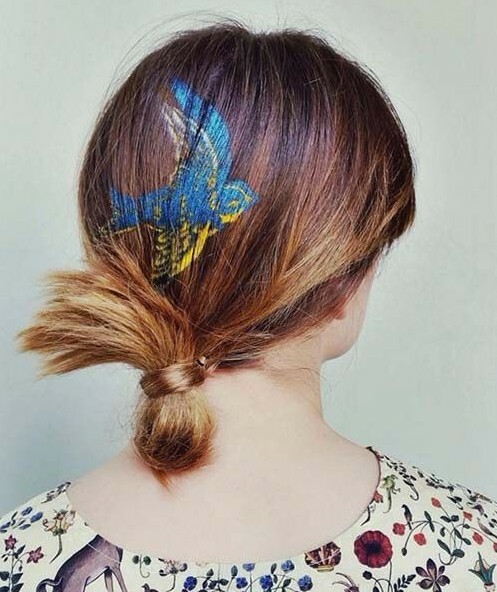 Paint it like a side hair accessory. 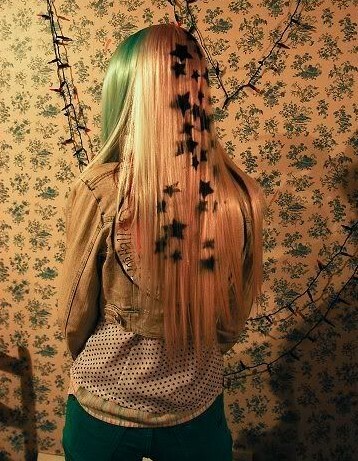 – A star pattern on loose hair is another pattern. Match the color of the pattern to your dress. Glitter shades can also be used. – A perfect style for an everyday look. Just tie your hair loosely and get the favorite pattern done in a bright shade at the center. – Polka dots are every girl’s favorite, then why not for hair too. 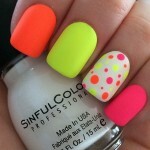 Polka dots done in different shades all over look very stylish. – Get inspired by the lace designs and use them as a stencil for creating different patterns like this. Decide your own placement according to your hairstyle. – Go a step ahead with your creativity, if you have an undercut hairstyle then get a stencil done at the back too. Alternatively getting a similar pattern on one side at the front looks cool. 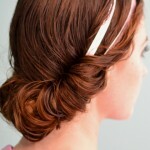 – If you love simple designs, or are a beginner, then try with the simple patterns like a hairband design. 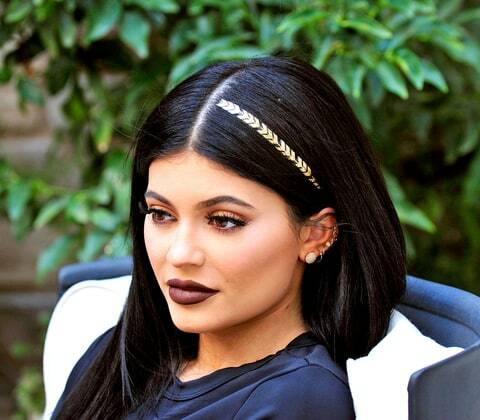 Designs done in gold and other glitter colors looks awesome on dark colored hair.